This long-sleeve version of the Danette is cut from a stretchy ribbed modal that will hug you in just so. 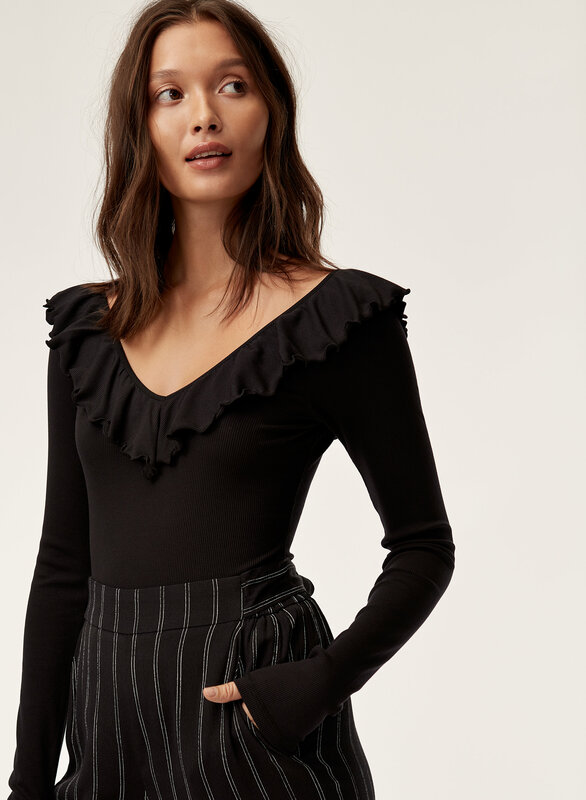 The ruffled double V-neck gives off the ultimate feminine vibe. 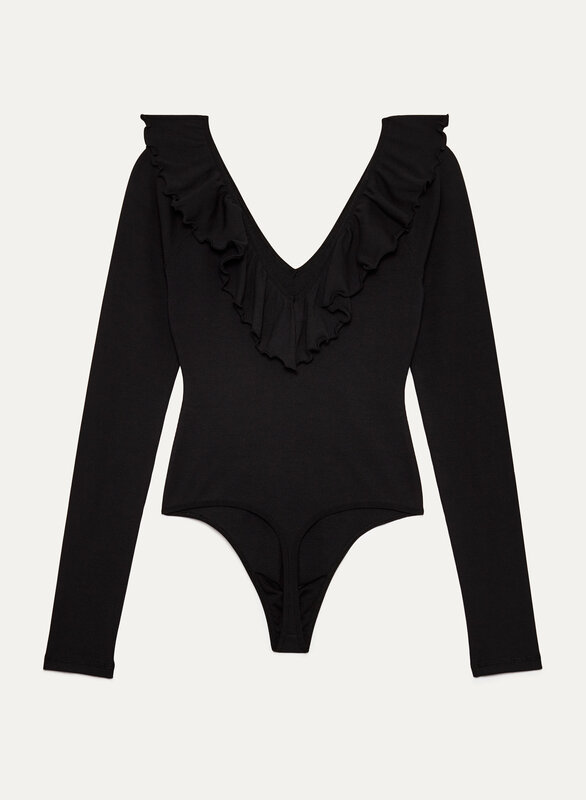 Love this bodysuit! I'm 5'8" and I usually wear a small in tops, but I definitely wanted some length in the body so the medium was perfect. It's just as tight as I'd want it to be on the body and the sleeves have a little more room. 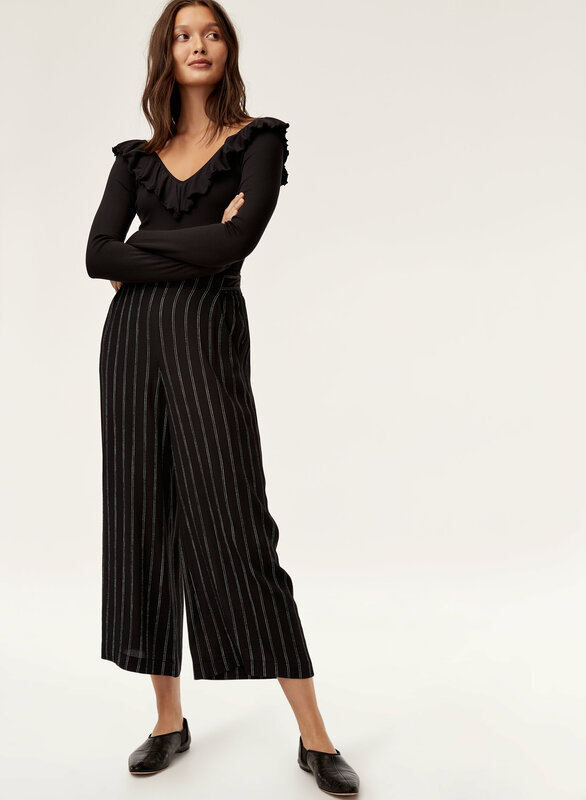 It doesn't rise super high on the hips for me so it's perfect with jeans or other fun pants! Nice thick material too! Very pretty and flattering, fits true to size. 4 stars because sleeves are a little awkward - loose and long. I prefer the sleeveless version but this one’s cute for winter. I love this material but didn’t love the fit on me. I love this! But even with high waisted jeans, the thong cut shows if I bend over. Perfect if I’m only standing! 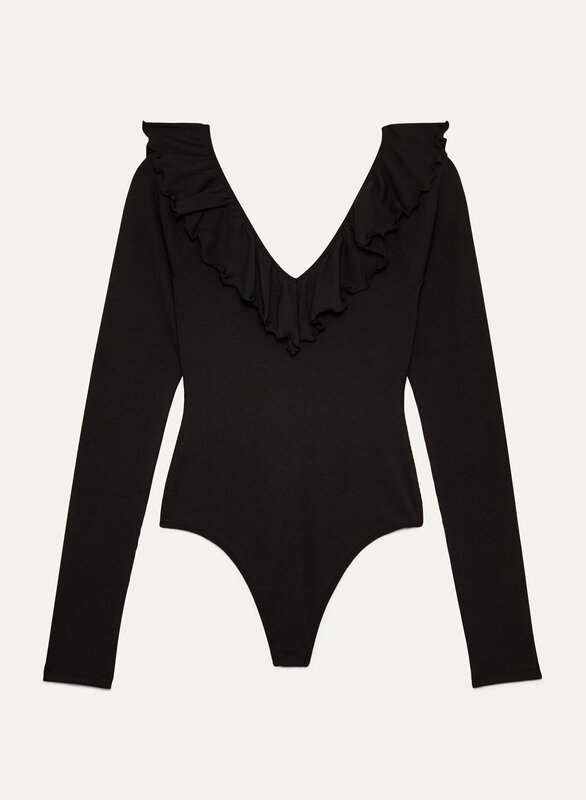 Adorable bodysuit that is perfect for every occasion. It can be dressed up or down. The cut at the top is really flattering and works with any normal t-shirt bra! The material is relatively thick for a bodysuit which is really nice in the winter. However, this bodysuit is a higher cut and does ride up in the hips a little bit.